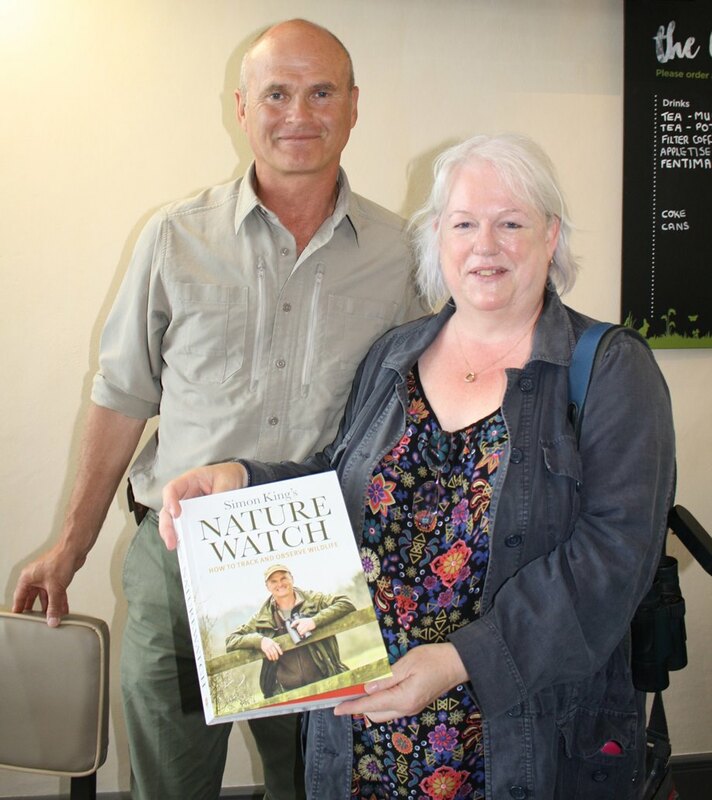 TV nature presenter Simon King officially opened Hauxley Nature Reserve’s new Discovery Centre at the end of June. The brand new eco building replaced the original wooden hide which was destroyed by arsonists in 2010. The £750,000 Discovery Centre building took seven years in development and fundraising and two years to build. 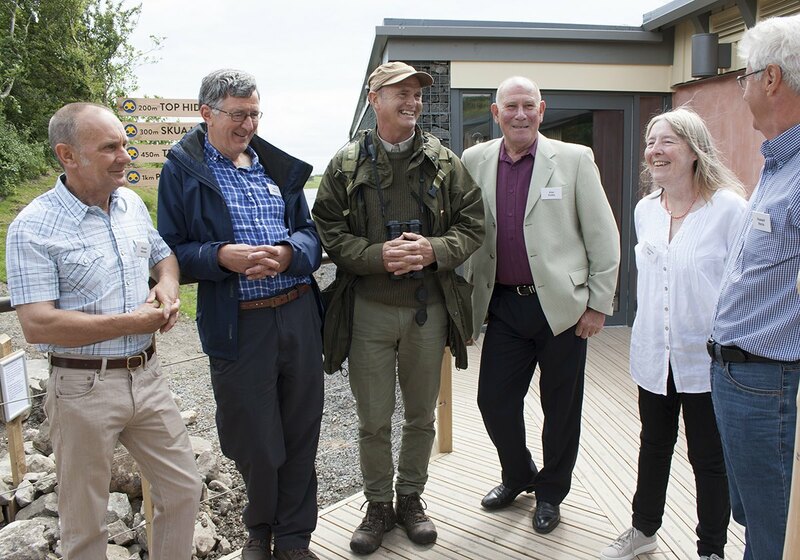 The project was financed by many donors, including £420,000 which was given by the Heritage Lottery Fund to Northumberland Wildlife Trust’s Dynamic Druridge Project. 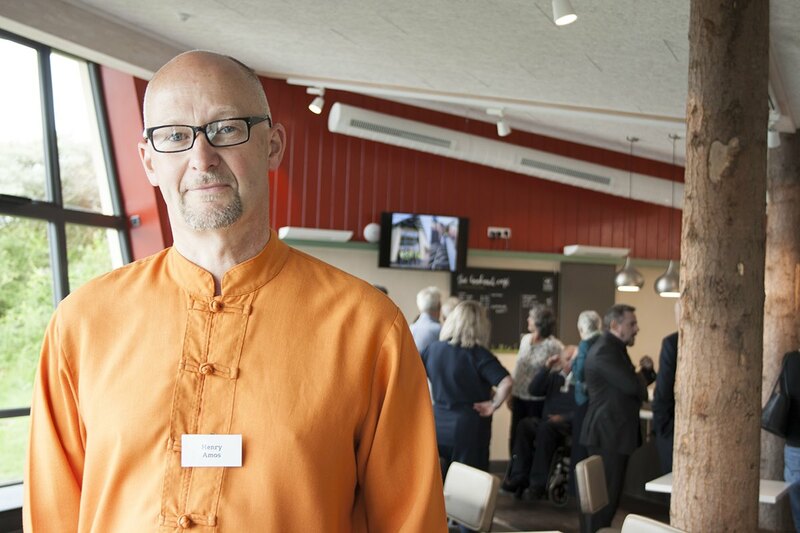 After the official opening ceremony and a volunteers’ party, members of the public were invited to meet Simon and those who had worked so hard over the last two years to bring the building to completion. The eco building has many green credentials; it is the first building to use gabions as a structural element, and clay for the floor came from construction of the Morpeth bypass. Volunteer Christine Hall had clocked up the most number of hours working on the build. She turned up to Hauxley four days a week for two years, and became an expert on filling the thousands of gabions, wire baskets packed with stone. This was a job which would have been deemed uneconomic had it not been done by hand – and by volunteers. Christine said “There’ll be a big hole in my life after this. I was a volunteer on the nature reserve before this and I thought I’d be interested on helping on the construction. But I became more and more interested – almost obsessive. It’s a good design and I hope it gets lots of use. Architect Henry Amos was delighted with the finished result. “It took two years in the end, but I’m really pleased. There’s no concrete, for ecological reasons and the building straddles part of the opencast wall, so the foundations had to be flexible.” He was particularly pleased with the clay floor, which he believed to be the biggest of its kind anywhere. The volunteers then spent ‘a lot of time’ cleaning and sieving the clay, mixing it with straw and horse hair to bind the whole process together. Later in the day, Simon met members of the public to sign copies of his book. Here he is with Jill Faulconbridge. All the volunteers were pleased that the build was now complete, but said they had appreciated making good friends. “There were loads of laughs and hard grafts” said Roland Watson. 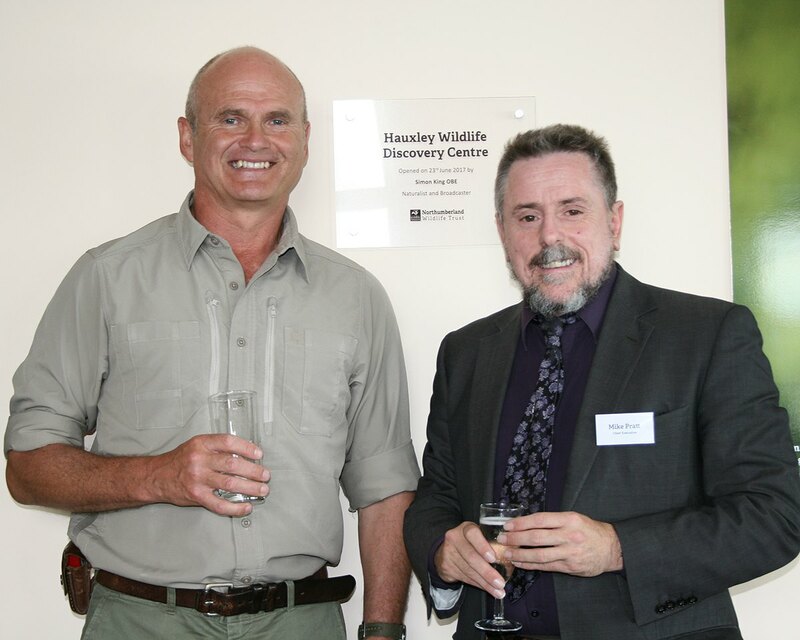 At the official opening, naturalist and broadcaster Simon King OBE unveiled a plaque. The Discovery Centre at Hauxley Nature Reserve is open properly from 24 June. There will be regular events for children and adults, there is a cafe (which will be up and running in the next couple of weeks) and an outdoor play area for children.